Teeth - the chewing machines are important in living organisms. The study which includes the prevention, Diagnosis, treatment of the oral cavity is Dentistry. These days as lot of junk food is eaten, it is necessary to prevent the oral cavity. Dental research is been carried with the help of new technology to overcome different diseases caused to oral cavity. Study involving understanding, treating, diagnosis diseases, prevention of diseases relating to mouth, like oral cavity, oral mucosa and jaws and related tissues is known as dentistry. Normally understanding of any persons regarding dentistry is it associated with teeth. However it is also associated with craniofacial complex and tempromandibular area. Dental health is often considered to be important in overall health, to maintain health of patients a team of dentist work on them. Involving dentist and his associates like technicians, therapists and dental assistants. Treatments towards oral caries and periodontal diseases are most done by dentist; it involves treatment for tooth decay, restoration of teeth, surgical removal of teeth and etc. The study about dental pulp is known as endodontics, it involves it prevention of any diseases to dental pulp or its treatment in case of any disease. It has seen a tremendous development in quality of treatment. In past few years development in treatment has helps humans to get a better care of their teeth. It employs practice of clinical and basic science of dental pulp, which increases our knowledge and gets a good insight on the need of treatment. One who follows this is known as Endodontist, their performs number of different procedures for maintaining the health of dental pulp, few of them involves root canal therapy, also known as endodontic therapy, mending cracked teeth, and treating dental trauma. Root canal treatment is most common treatment done by Endodontist, when condition like nerves, tissues or arterioles in or near the dental pulp gets affected by disease or any trauma due to injury Endodontist helps the patients by treating and saving their valuable teeth. Our journal accepts all research/review/case reports related to endodontics subject, interested in submitting manuscript contact us through our official mail id. Oral surgery is a stream of study involving treatment towards injuries and defects in head and face and also tissues in mouth. Treating diseases associated with these areas is also part of oral surgery treatment. Persons who follow this are known as Oral Surgeon. Few of the surgeries done by oral surgeons are dentoalveolar surgery, it involves removal of teeth which are impacted by injuries and extraction of teeth which are difficult to removal normally, dentures and bone grafting. Oral surgery involves insertion of osseointergrated dental implants. Cosmetic surgery is also part of this, it involves surgery done to head and neck like face lift, otoplasty, cheek/chin augmentation, lip enhancement and etc. Align patients jaw using orthogonal surgery, jaw joints are repaired who are suffering with TMJ, this is done by TMJ surgery. Reconstruction of face and jaw after cancer surgery or realignment of facial bones after a trauma. Restoration of intraoral defects i.e., inside the mouth, such as missing teeth or any part of it, and jaw and palate tissues are missing, this type of treatment is done by using dental prosthesis. Dental speciality that deals with this area is known as Prosthodontics, it focus on dental prostheses. These prostheses helps in chewing, aids speech, and etc. these are employed by placing them in the position and using suction force or anchoring it to surrounding muscles. These can be fixed permanently or temporary which are able to remove after some time. These are available in different varieties, fixed or permanent dental prostheses are anchored using screws or adhesive (dental quality) and removal able prostheses employs suction or friction between surfaces of teeth and the implants. These methods help in maintaining prostheses in place. Pedodontics was term initially used for Paediatric dentistry; this clearly deals with children right from birth to their adolescence. Pedodontics was initially used in American English and pedodontics term was used in commonwealth English. It was started being accounted separately by American Dental Association; doctors who follow Pedodontics are known as paediatric dentists. These dentists were a good source of information for parents about maintaining Oral health of their loved ones. It is recommended that after onset of first tooth or before six months of onset, dentist visit is mandatory for maintaining good health of child teeth. Oral health research is welcome in our journal. Paediatric dentistry journal invites researchers to publish new methods on paediatric dentistry and covers the topics related to dentistry. Paediatric dentistry journal accepts leading forefront original research papers, review manuscripts, case reports and commentary in the field. Our target audience, readers and contributors are worldwide. Orthodontics is a special branch of dentistry, one who follows this field is known as Orthodontist. He should had gone a rigorous training in after his dentistry studies, it require specialization in the field. It mainly deals with malpositioning of teeth its diagnosis, prevention and corrections if required. Orthodontist employs metal wires been inserted into orthodontic brackets which helps in moving the teeth to desired position. Dental braces are often removed once treatment is completed and desired results are achieved i.e. altering the jaw of the patient if it is improper. Oral health research helps to maintain health of patients a team of dentist work on them which involves technicians, therapists and dental assistants. Steps and practices taken to maintain teeth healthy is known as preventive dentistry, these measures will helps to avoid diseases in gums, cavity and wear and tear of enamel. Preventive dentistry involves many methods like that of brushing and cleaning teeth daily. It is recommended to visit dentist in regular intervals of time. Dentist makes sure that teeth are clean, white and strong. Dentists also advise how to do so if required operate on our teeth to amend the damages done by us preventing further damages. It also recommended children should be made aware of taking care of oral hygiene at early stage of life. Methods of preventive dentistry; Brushing of teeth daily twice-it is recommended to brush teeth daily twice a day to prevent damage or tooth decay, using of fluoride toothpaste is good for oral hygiene. Cleaning of tongue for getting rid of bacteria and smell from our mouth. Floss is method used to clean or reach the tight spaces between the teeth where brush normally cannot reach. Using of floss make sure of complete care of teeth. Branch of dentistry which is concerned with maintaining of oral health of patients who have a history of being effected with chronic diseases, recurrent disease and disorders which are related with maxillofacial region. Oral health research involves diagnosis of disease and management of it without using surgical methods. Intermediary between dentistry and medicine is known as oral medicine, practitioner of oral medicine should have qualifications of both dental and medical. Oral medicine is used to treat patients with the need of surgery, if condition of patients’ crosses where oral medicine cannot treat him or her oral surgery is employed. Branch of dentistry which deals with conservation of teeth is called as Conservative dentistry, it involves both orthodontics and operative dentistry, employs many methods for restorations of patients teeth, many direct and indirect restoration methods are used for this purpose. Main role of conservative dentist is to diagnosis and treatment of dental plague, infections and cavities, this will help to restore teeth in function and its appearance in pleasing way without or little loss of teeth structure. Root canal treatment is one of the main and commonly utilized treatments for maintaining the health of teeth. In this method a surgery is performed where most of the affected area is removed and it is filled with various dental quality fillings, which helps in arresting more infection. The journal offers a stage for researchers in conservative dentistry field and related dental research articles. 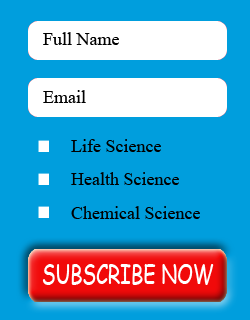 Journal accepts leading forefront original research papers, review manuscripts, case reports and commentary in the field. Our target audience, readers and contributors are worldwide. Restorative dentistry is commonly called as prosthodontic dentistry. Restorative dentistry includes management of oral health problems and restoring of the mouth to a functional and esthetic state. Restorative dentistry helps in fixing the structural problems of your teeth such as damaged or missing teeth. Restorative dentistry procedures involves modern technologies that helps in the diagnosis and treatment of conditions which affects teeth, gums and maxillofacial (jaw and face) portions of the body. Dental Research and Management journal invites researchers to publish new methods on restorative dentistry procedures. Dental materials are fabricated materials used in dentistry. Different types of dental materials are used depending up on their characteristics and purpose of their use. Examples of dental materials includes dental restorations (fillings, crowns, bridges), endodontic materials (used in root canal therapy), impression materials, temporary dressings, dental implants, dentures and many others. Dental materials articles are included in our journal which has rapid peer review process and tries to publish the manuscript within 4-6 weeks of time after submission. Dental materials articles welcome all the topics related to dentistry. Oral and maxillofacial pathology refers to condition of mouth, jaws and surrounding organs like salivary glands, facial muscles and skin around mouth known as perioral skin to be affected with diseases caused by different bacteria’s and viruses. Mouth is considered to be one of the important organs with various functions, so it also affected with different medical and dental disorders. Branch of dentistry which deals with pathology studies which causes disease and its diagnosis as well as its treatment in the area of maxillofacial region. In few cases even head and neck is covered by pathologist but this study is known as otorhinolarngologic disorders. i.e. including maxillofacial region ear, throat and nose is covered. It is a combined study including pathologist and endocrine pathologist as well apart from dentist.